Kindness week was the last week in January this year. Two different activities at MES culminated Kindness Week. Kindergarten through 4th grades students had been learning about respect during January in Mrs. Huff's classroom guidance lessons. One of the things the students learned was the "Golden Rule". Whenever the "Golden Rule" is used kindness follows. 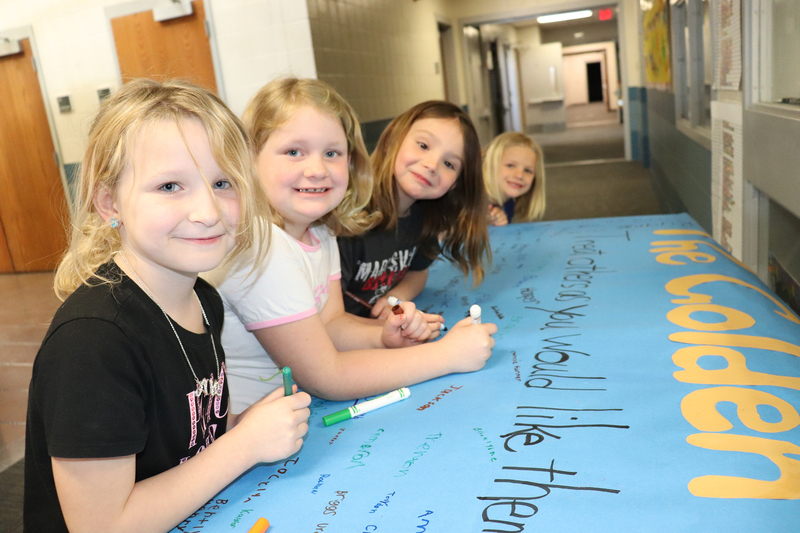 We at MES always encourage our students to treat each other with respect and kindness. As part of the activities MES finished the week with a pledge to follow the "Golden Rule". 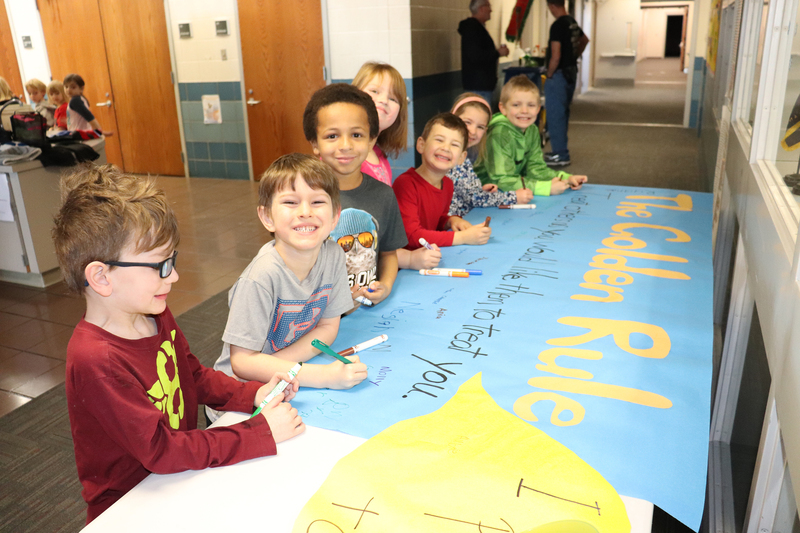 Then an eight foot banner displaying the "Golden Rule" was hung in the school lunch room. 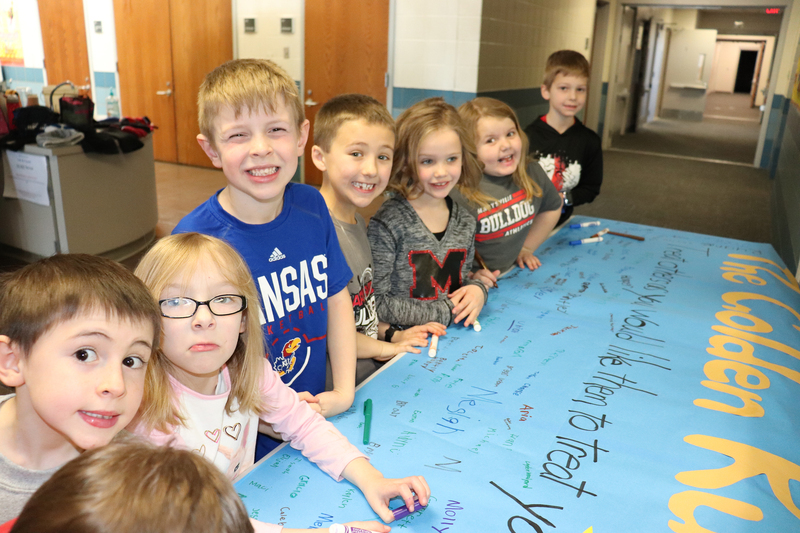 All the students had signed the banner, now all can see the banner and remember to be kind to others. Additionally each classroom teacher asked their students to write a thank you note to someone who cared about them and had shown them kindness. Most students hand delivered their note to the person of their choice, some of the notes were mailed. Many hearts were touched that day as these student's notes were delivered and read by parents, students, teachers, counselors, the principal, etc.